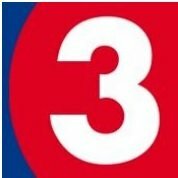 News TV Channel / TA3 is a Slovak private news channel. It started officially broadcasting on 23 September 2001, although its first (special) broadcast was on 11 September 2001 due to the September 11, 2001 attacks. The headquarters are located in Bratislava, in the Ružinov borough.